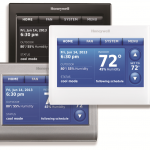 The Honeywell VisionPRO 8000 Touchscreen’s beautiful design and easy to use touch screen make controlling your home a positive experience every time. 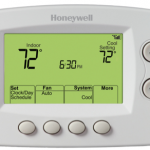 Honeywell is the #1 brand of thermostat providing quality products for over 100 years. 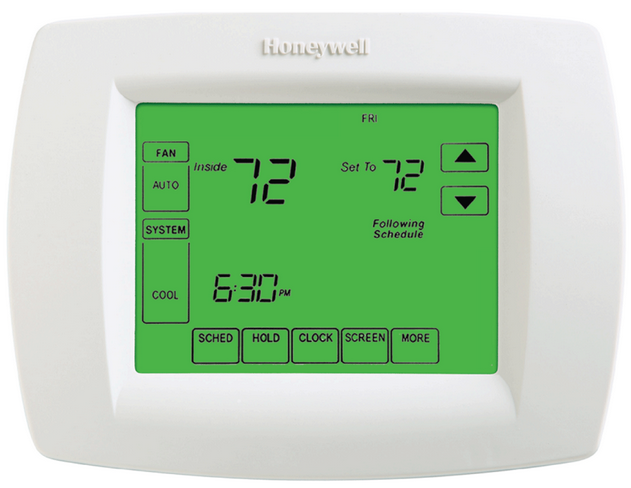 Interactive touchscreen technology makes this thermostat simple and easy to use. 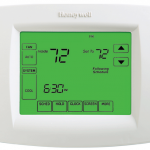 Set up your programmable thermostat to work for you. “Saving Changes” notification lets you know when the schedule changes have been saved. 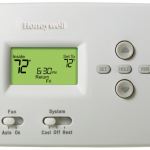 Program to save up to 33% on annual heating and cooling costs. The large, clear backlit digital display adds is tasteful yet still big enough so that it’s easy to read. Allows for control of humidification, dehumidification or ventilation systems to ensure cleaner and healthier air in your home. Keeps time during power failure and automatically updated for daylight savings. Lets you know when to replace heating or cooling appliance filters, batteries, and more.